• New preferential tax policy allows foreign investors temporarily not be subject to withholding income tax (WIT) anymore if said foreign investors reinvest profit in China pursuant to specific tax deferral treatment criteria; however, later, when the foreign investor disposes its reinvestment, the WIT shall still be paid back. • The reinvestment under preferential tax policy only applies to investment projects under certain the encouraged categories. • New preferential tax policy comes into force as of January 1, 2017 which is a retroactive policy. 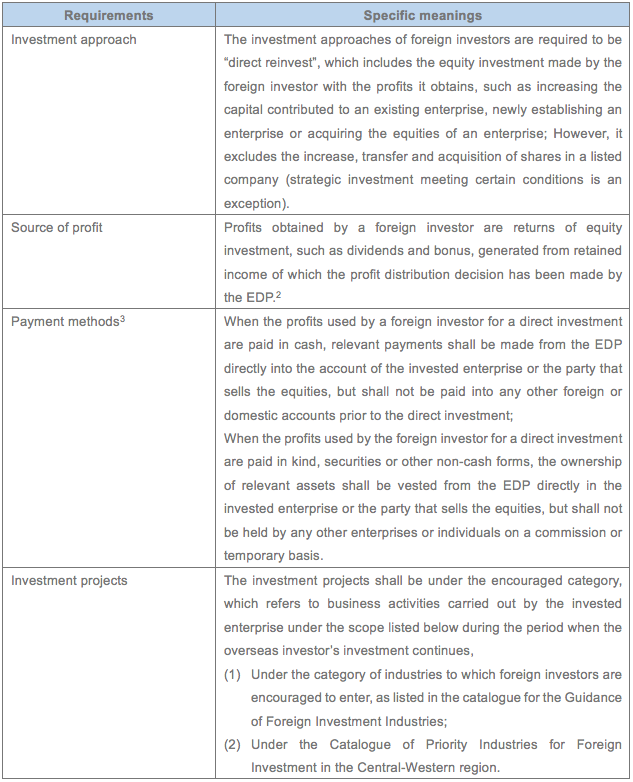 According to PRC Enterprise Income Tax Law, foreign investors are subject to WIT on profit derived from their investment in China and Chinese enterprise that distributes the profits (EDP) shall be the withholding agent. The general withholding tax rate applied based on PRC Enterprise Income Tax Law is 10 percent (temporarily reduced from 20 percent), and in case of existence of a reduced rate stipulates in a double tax treaty, then, the reduced rate applied. However, new policies and incentives are released these days in China which grant a benefit to foreign investors in order to encourage foreign funds to remain in China and to boost the growth of foreign investment in China. Specifically, a new preferential tax policy was introduced in Circular on Policy Issues concerning Temporarily Not Levying the Withholding Income Tax for Direct Profit Reinvestment Made by Foreign Investors, which was released by four governmental authorities including Ministry of Finance, State Administration of Taxation, National Development and Reform Commission, and Ministry of Commerce on December 21, 2017 (the “Circular”) followed by issuance of Announcement of Implementation Matters in relation to the Circular released on January 2, 2018 (the “Announcement”) and its interpretation released on January 8, 2018 (the “Interpretation”). Pursuant to the new preferential tax policy stipulated in the Circular, the Announcement and the Interpretation, WIT can temporarily not be levied on distributed profits if the foreign investor makes a reinvestment directly with such profit. This article is intended to present a brief outline of the tax reform proposed in the Circular, the Announcement and the Interpretation. 1. Is the new preferential tax policy a permanent tax exemption policy? Actually the new preferential tax policy is not a permanent tax exemption policy, but a tax deferral policy, which only allows the foreign investors temporarily not be subject to the WIT. The foreign investor can enjoy the new preferential tax policy if it makes a requested reinvestment. However, later, when the foreign investor disposes its reinvestment, the WIT shall still be paid to Chinese Tax Authorities. 2. What are the requirements for the foreign investors to enjoy the preferential tax policy? 3. What are the procedures for enjoying the preferential tax policy? If the foreign investor satisfies the requirements specified above, it shall make a notification pursuant to the requirements on tax collection and administration, and provide the EDP with supporting documents and information requested in the policy (filling relevant forms pursuant to the Announcement and Interpretation). The EDP shall then undertake a proper review on the supporting documents and file record-filing formalities with its competent tax authority (filling relevant forms pursuant to the Announcement and Interpretation). After fulfilling this two steps, the EDP may release the profits without withholding income tax. If a foreign investor is eligible for the preferential policy of being temporarily exempted from WIT, but actually the withholding tax has been imposed on such foreign investor, then a retroactive application for refund can be filed by such foreign investor within three years from the date the relevant tax payment is made in practice. Chinese Tax authorities will also perform a dynamic follow-up inspection, and if a foreign investor has enjoyed the policy of being temporarily exempted from paying the WIT, but the tax authority ascertains that it fails to meet the given requirement under a follow-up inspection, the foreign investor shall be deemed as failing to declare and pay the enterprise income tax as required, unless the tax deferral enjoyed is a mistake attributable to the EDP. The local competent tax authority of the EDP may demand the foreign investor to pay the WIT together with delay payment interest, with the length of period when the tax payment is overdue calculated from the day when the profits concerned were paid. 4. When does the preferential tax policy come into force? There is a retroactive implementation for this preferential tax policy and it shall come into force as of January 1, 2017. 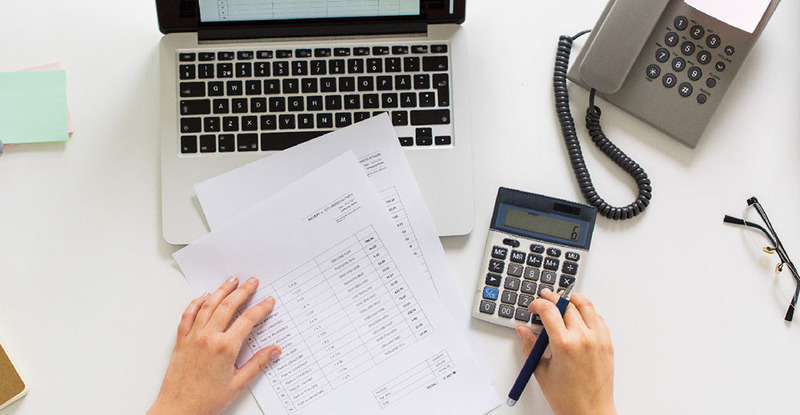 The State Tax Authorities also confirms that the tax deferral treatment also applies to dividends declared after January 1, 2017 but based on retained earnings generated by the EDP before January 1, 2017. ① Via checking State Tax Authority, whether the deferred tax shall still be paid if the disposal of the reinvestment turns out to be a loss to the foreign investor is not regulated. To be further check on site with the local tax authority. ② Oral explanation given by the officer of State Tax Authority. ③Via checking State Tax Authority, they do not give more explanation on whether the foreign investor shall be the shareholder of the invested enterprise or the EDP shall be the shareholder, considering the money is transferred from EDP to invested enterprise directly. Also, from the practical point of view, if the money transferring is through an escrow account, then the preferential tax policy may not be applied. This shall be further clarified later.